Storage Storage available in ten shelves, five drawers, and two doors. Satin nickel bar pulls and etched glass decorate the drawers and doors of the Caroline Collection's Entertainment Set like jewelry. Five drawers, two doors, and ten shelves offer maximum organization and storage with this entertainment stand. 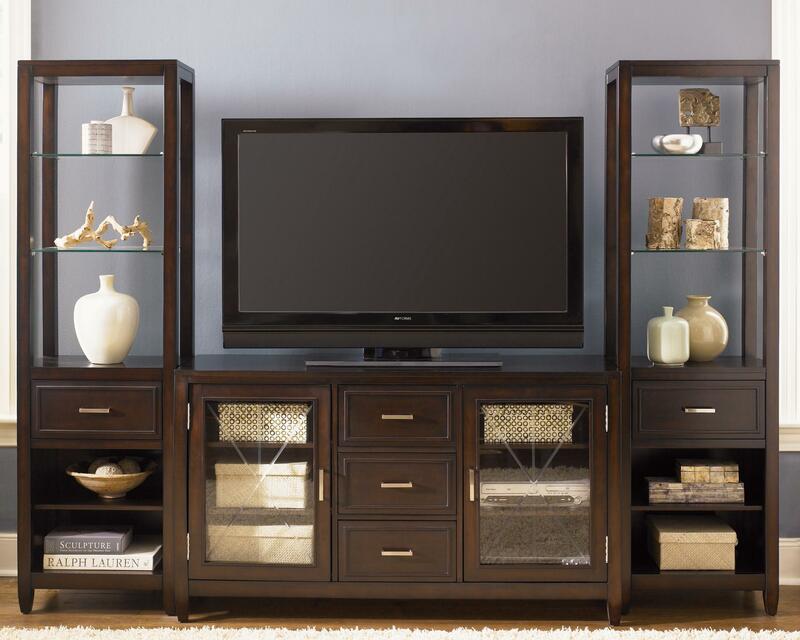 Store your remotes, hook up a DVD player or game console, or organize your movie collection with class. Your living room will make a statement with this TV Stand. Cuddle on the sofa and turn on your favorite movie in front of this entertainment stand while you enjoy quality time with your family and friends.